The deadline is fast-approaching for the opportunity to bid on Keep America Beautiful’s #DoBeautifulThings – Sports Auctions,” featuring three of the most popular sports events in America – Super Bowl LI, the NBA All-Star Game and the Waste Management Phoenix Open. Bidding closes on Wednesday, Jan. 11, at 3:00 p.m. (EST). National nonprofit Keep America Beautiful launched the sports-themed auctions with Charitybuzz, the premier destination for nonprofit online auctions, in support of Keep America Beautiful’s national programs, research and other resources to End Littering, Improve Recycling and Beautify America’s Communities. 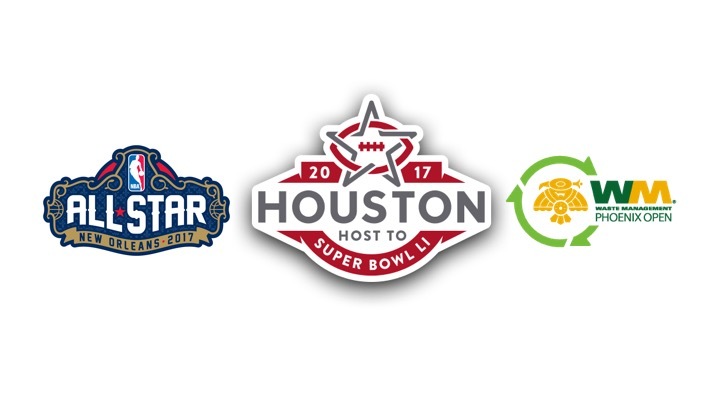 The highest bidders will be given the opportunity to attend Super Bowl LI in Houston, Texas, on Feb. 5, 2017, the PGA Tour’s Waste Management Phoenix Open in Scottsdale, Arizona, on Feb. 4-5, and the NBA All-Star Game in New Orleans, Louisiana, on Feb. 19, 2017. Bidding for each auction is open at https://www.charitybuzz.com/KAB. Travel and accommodations are not included. See details in each auction lot.